Hello! 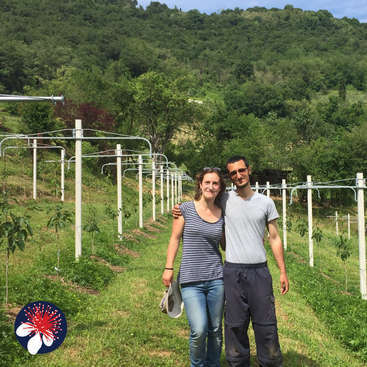 We are Mirko and Giulia, two young farmers passionate about nature and agriculture. We just started our own business in producing tropical fruits on the hills of Bergamo, in a beautiful location near City Center. We practice organic agriculture, permaculture, we are starting a nursery and have a small vegetable garden near home. We love sharing work outside with plants but also bringing friends to concerts, playing music, cooking and hiking. Workawayers here can bring and learn many things, from the most practical to soft skills: they can get to know organic agriculture methods, permaculture design fundamentals, technical approach to new crops and how to adapt agriculture to climate change. Also, volunteers will learn tips about how to start and develop a new business! Volunteers will be involved in farming tasks, such as weeding, planting, fertilizing, watering, mulching, taking care of nursery's plants, and they may also take part in landscaping activities. Other tasks can be fence maintenance and cooking. Volunteers go to the farm and back home by car with Giulia. When helping hours are done, volunteers are free to explore Bergamo Hills natural park and the beautiful Medieval upper town. There are so many interesting squares and buildings and art galleries you can get lost! 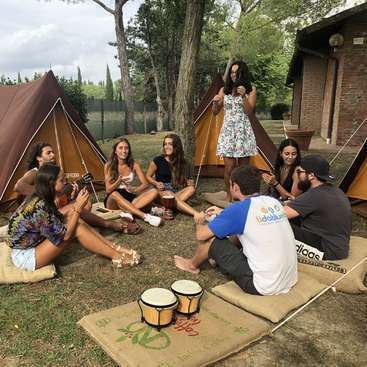 Milan is one hour by train, so on free days you can have a tour of the city, or again by train you can easily reach lake Iseo, lake Garda and Venezia as well. Thank you so much for sharing with me not only your culture and way of life but also your vast knowledge of plants, farming, business and everything that goes with it! I appreciate you answering the millions of questions I asked! :) Your project and everything you are doing is an inspiration for me. My time spent with Giulia, Mirko and her family was too short ! They are really helpful and friendly. The place is very beautiful. 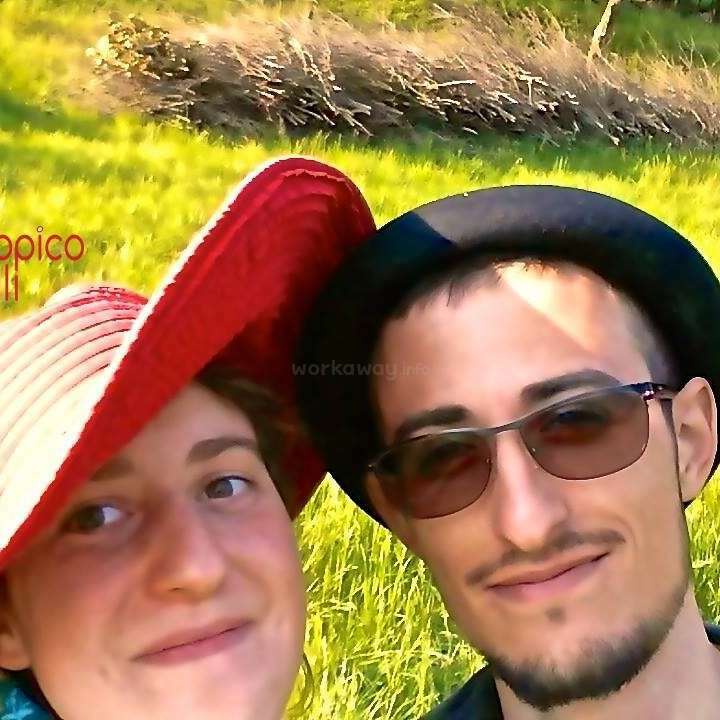 Giulia and Mirko are really passionate by their work, by the agriculture and it's contagious ! I'm impressed by their project and their work. I wish you all the best ! Thank you for this amazing experience ! And thank… read more you Lia ! See you again someday ! 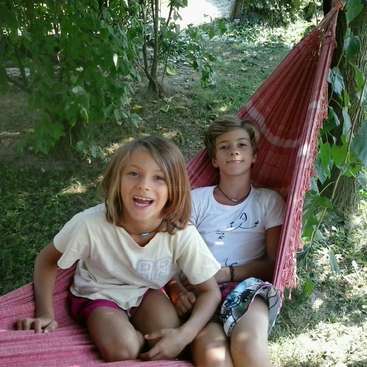 Me and Jussi had an amazing first Workaway eperience in Bergamo with Giulia, her mom and Mirko. The place is incredible beautiful - I can't believe they really live there... We enjoyed taking care of the puppies and doing gardening work. We also helped with the farm and did some cleaning. The help was not hard at all, but working outdoors with a… read more lot of heat can be heavy. Giulia and Mirko were busy so we were quite independent with our work and we wonderrd around the town by ourselves a lot. Sometimes there was not much work to do and we felt a bit unuseful. I feel very lucky to have experienced these two weeks in Bergamo and meeting this crazy and easy going family (with 12 dogs). We loved Giulias mom who made us feel very welcome - and she is also an exeptional cook, thank you Lia. Good luck with the farm, Giulia and Mirko, and see you in Finland! I stayed with Giulia and Mirko for about 10 days. They are the nicest people you'll meet and working for them was a pleasure. 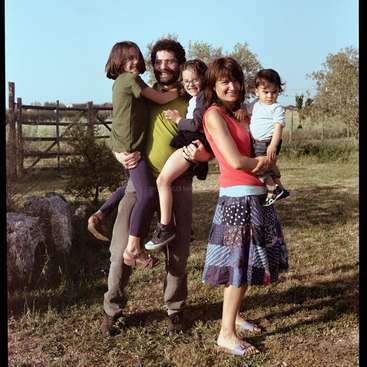 Giulia's family are very nice too. Jobs included cutting bamboo, digging holes for their plants and strimming. Bergamo is a beautiful place when the fog lifts! Very nice to walk around. I truly wish Giulia and Mirko… read more all the best in their exotic fruit venture and I'm sure they'll be millionaires one day. Guilia and Mirko were amazing hosts, super friendly and warm. I helped out with cutting some material for the farm for the few days that I was there and I felt super satisfied! Their family house is so welcoming, and every single one of their dogs is very friendly as well. I had a blast exploring Citta Alta and taking the best pictures I've ever… read more taken in such a beautiful italian town. I hope to come back and visit the farm later on in the spring, when it is warmer. I had a very great experience working and staying with Giulia and Mirko. They are really great hosts and have a very nice project on there farm. I wish them all the best for the future and that all their wishes for the farm will succeed. I only spent a short time with Giulia and her family but it was a fantastic experience learning about agriculture, cooking, meeting friends.This family is very friendly and responsive! There was always plenty of art, music and laughing going on. I would come back in a heartbeat . It was my first experience on Workaway and I have chosen this… read more house-it was right decision! Peace and love for all your family! My experience on Giula and Mirko's tropical fruit farm and living in Giulia's family house was fantastic! A typical day started at around 8am until 1pm (before it gets too hot!). Both Giulia and Mirko shared a great deal of knowledge about plants, permaculture farming and their fascinating new project. 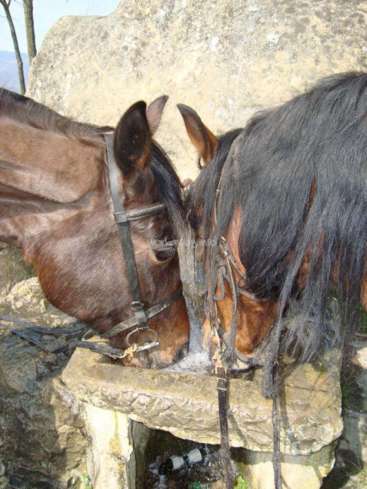 They were also very clear with the tasks we… read more were to complete each day. If you're a dog love, you will find yourself with some very cuddly friends during your stay here! I would definitely return to this project to see how it progresses and I would certainly love to see all the family again. Best of luck Giulia and Mirko...thank you for an amazing first work away experience!